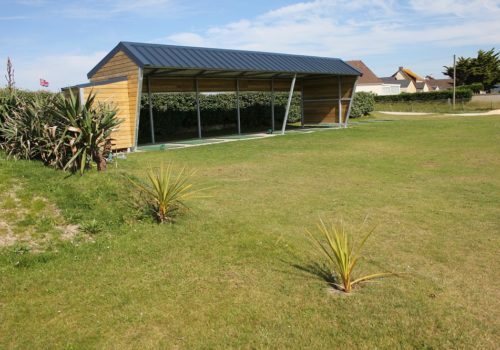 This 18 hole golf course, situated in Fontenay-sur-Mer, at the tip of the Normandy peninsula, was designed by Yves Bureau. It is a concentration of all the different types of landscapes found in the area. You have the sea, the wooded countryside, dunes and marsh, and whatever the season or the time of day, you will appreciate the exceptional light. 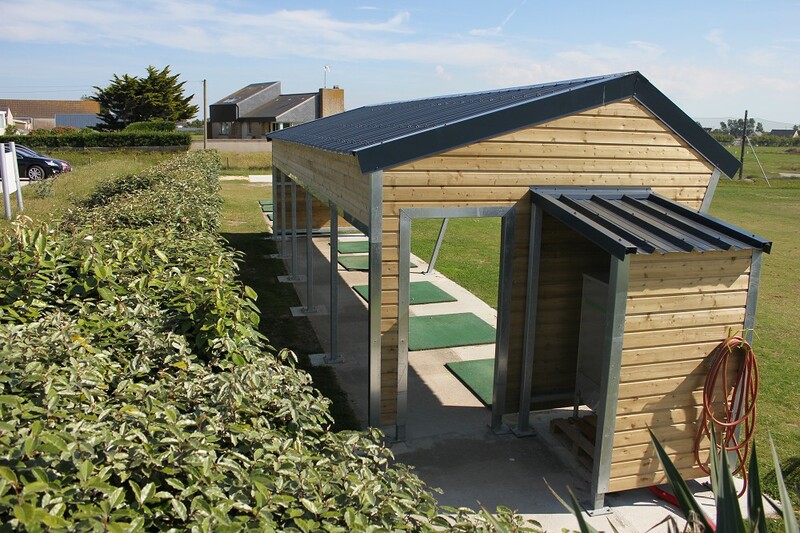 Incidentally, the countryside and spirit of the course will remind you of Scotland, where golf originated. 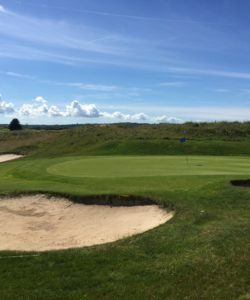 Different kinds of difficulties are involved, making the course particularly interesting both for professionals and for players with a high handicap., We are confident that everyone will enjoy the course and find it memorable. 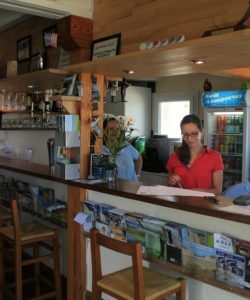 The 19th hole will be memorable too as this area is famous for the best fresh oysters, seafood and fish. Also, the quality of the meat, cheeses and vegetables in this area is hard to beat, so bon appétit ! 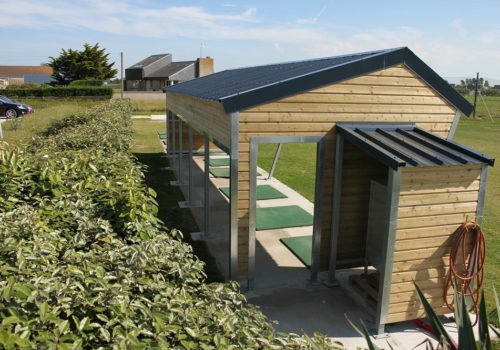 Come and try the « Golf de la Presqu’île du Cotentin ». You will be back ! Philippe Holé, President of the club « Golf de la Presqu’île du Cotentin ». As in every sport, you need to train to improve performance. Regularity comes from practice so to improve or maintain your level, make the most of our new covered driving range. 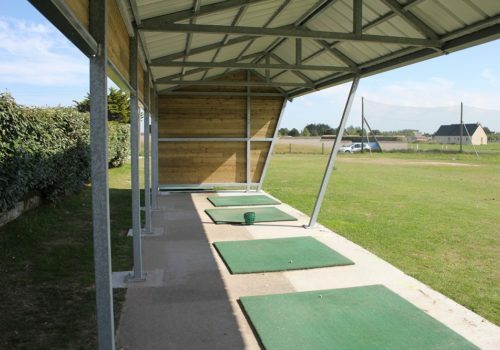 Now, since the beginning of this year, you can practice whatever the weather and so perfect your swing whenever you like. An automatic ball distributor is available and of course. You can buy tokens at the club house ! 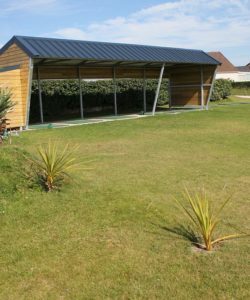 Thank you to our partner, NORMECA, situated in TOURLAVILLE, for helping us realise this project.